Espadrilles are a kind of footwear made of vegetable fibres. It owes its name to they were formerly made of esparto grass. Later the upper part was made of cotton, linen or hemp fabric, according to availability, and the soles became mostly hemp. When hemp became problematic, it was replaced by jute. Traditionally it was considered as a humble, economic, popular and very useful footwear, always away from the concepts of fashion and "well-dressing", associated with the sophistication and the style of the elites. 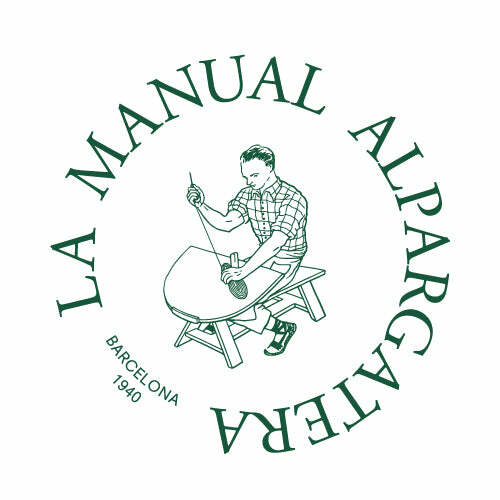 In 1940 this was changed by Emilia Martínez and Joan Olivé, when they founded La Manual Alpargatera. The manufacturing process of the espadrilles, currently has two very different parts, since the soles are made by specialized workshops, unlike before, that one workshop did the whole process. Once the soles are made, in the espadrille workshop the canvases are cut according to the patterns of each model and if necessary they are assembled (the different cut pieces are sewn together to form the fabric part of the model). Once the fabric cuts are assembled, they will be sawn on the soles, sometimes on feet form, others directly on the soles. 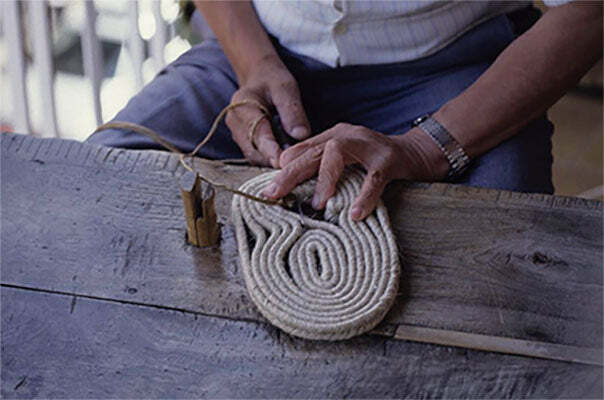 In the case of the espadrilles with ribbons, once the "face" and the "heel" on the sole have been sewn, the corresponding “ribboning” is done.